MEET THE DEDICATED EDUCATORS KEEPING GEELONG KIDS SAFE! 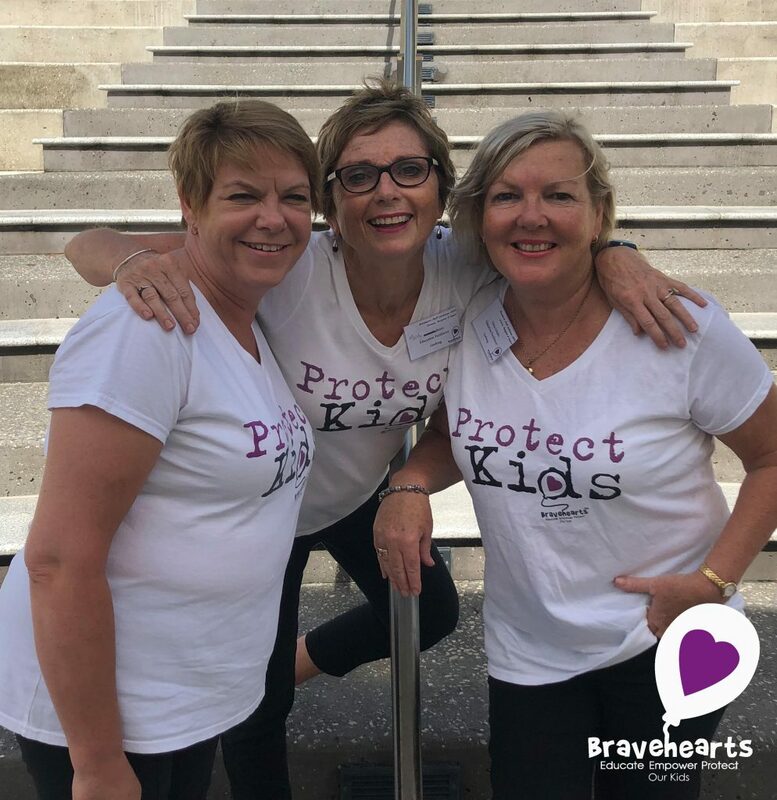 Meet the dynamic trio of educators teaching personal safety skills to the children of Geelong, Victoria, through Bravehearts’ Ditto’s Keep Safe Adventure Show. With a combined 70 years of teaching experience between them, Mandy, Chris and Meryl take the Ditto Show to primary schools in Geelong and surrounding areas, including special schools, public schools and private. They also visit 105 kindergartens throughout the year to teach little ones about personal safety. “It’s a privilege to spread the message about keeping kids safe. Teachers are so pleased that this important education is available and can be a springboard for follow up discussion both in the classrooms and also at home,” said the team. The team has been working together delivering the Ditto show for close to 8 years, and during this time they have been informed by schools of disclosures that have been made by children after attending the show. Many survivors have also attended over the years. “Many adults tell us they are so glad that we’re doing what we do, as they had experienced sexual abuse as children and don’t want it to happen to any children in their lives,” they said. The team says the most enjoyable part of the work is the variety of people they meet, the interesting locations they get to visit, and the excited reception they receive from the kids, teachers and parents and of course the ability to make a difference to the safety of children in their region. They also rate the amazing eateries and cafes they get to visit on their travels as a side bonus. The most challenging aspects of delivering the show are mostly practical. “Getting lost in rural towns where there is no GPS signal is also a challenge at times,” said the team. Of course there are also many delightful moments to offset the challenges, usually involving a child asking an amusing question or making a funny comment during the show.